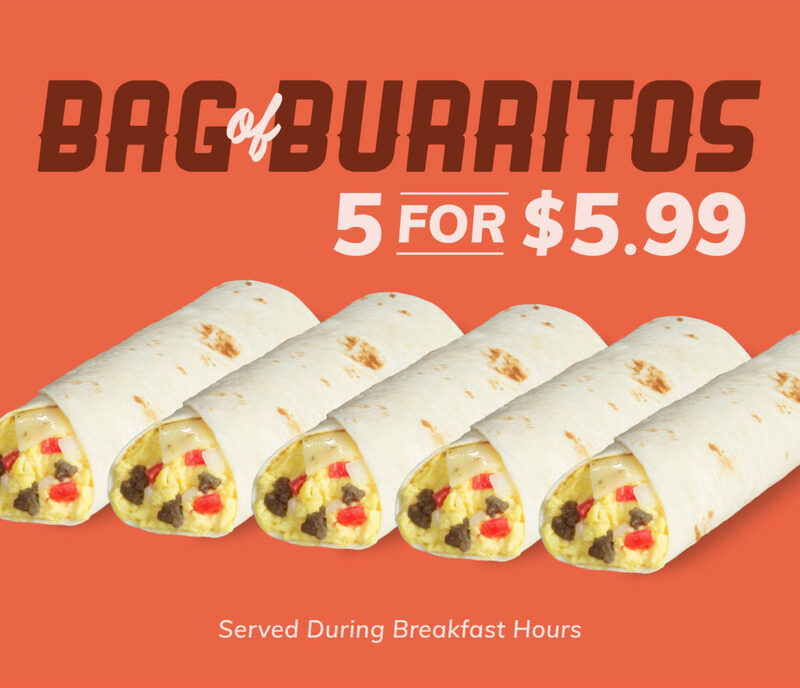 Menu Five Breakfast Burritos for just $5.99! Menus / Specials / Five Breakfast Burritos for just $5.99! Need to feed the whole office or family? Braum’s has you covered! You can now get a bag of five breakfast burritos for just $5.99! It’s almost too good to be true! We start with warmed flour tortillas and then fill them with fresh scrambled eggs, lots of country sausage, mounds of pepper jack cheese, fresh onions, and tomatoes. What a great start to the day! Plus, we have several great breakfast options if you are in the mood for something else. Check out our breakfast menu to see what else you can get in the morning to start your day off right!